To Kill A Mockingbird is no casual spooky read; the inhumanity of Bob Ewell and the ignorance of the jury draw the reader into a dizzying moral outrage. Yet it is counterbalanced by the graceful dignity of Tom Robinson and the integrity and forbearance of Atticus, leaving the reader with an inspired sense of what mankind can be. This is an important one, so don't skip reading it. Even if you know it well, it's worth reading again and again. And in this rare case, the movie is just about as good as the book. Thanks for coming to Cookie Bookie Week. I've only scratched the surface her on my favorite October reads; I didn't even get started on Sherlock Holmes. There's always next year for more. And please don't forget October poetry, too. My favorite spooky reads are "Ode to the West Wind," by Percy Shelly, a portion of Shakespeare's witches lines from Macbeth (Double, double, toil and trouble), Alfred Noyes' "Highway Man," Service's "Cremation of Sam McGee,and "Edgar Allen Poe's "The Raven." Our treat to eat while reading today is a crackly soft ginger cookie. I've tinkered and toyed with this recipe for years, until finally creating this spicy and sweet gem. Most ginger cookies call for shortening to get the characteristic crackles, but I use canola oil with a little bit of sour cream in mine. You get a fabulous soft texture and pretty crinkly outside, with a taste that I prefer to shortening. In addition to the usual round up of spices, I've added some black pepper. It gives the cookies just a little kick, not to hot, not to peppery, just enough to wake up your taste buds. Thanks for enjoying cookie bookie week; now go read! Money Saving Tips: Since this cookie relies on oil instead of butter, it's one of the most economical you can make. This is my first pick whenever I have to make enormous amounts of cookies for bake sales, church parties, Italian family gatherings or other crowded events. If you don't have sour cream, use yogurt. Preheat oven to 350 degrees. In a medium bowl, cream together the oil, sour cream, sugar, and molasses. Stir in the egg. Add pepper, cinnamon, ginger, salt, and soda. Stir in flour. The dough will be soft and only slightly sticky. Form dough into 1 inch balls. Roll in cinnamon sugar and place on cookie sheets about two inches apart. Bake for 8-10 minutes, or until cookies are spread and beginning to look crackly. For softer cookies, underbake slightly and for crispier ones, let them go a minute or two longer. Let cool on cookie sheets for two minutes. Transfer to rack. ****These sturdy cookies are great for packaging and mailing. Soft Ginger Cookies just might be my favorite cookie ever. I don't know why. I love hard ginger cookies too. Basically anything with ginger is a hit with me. I am going to make these. I can't wait to try your version, especially since I am not a big fan of shortening. Glad you made some substitutions. Oh I hate for cookie week to end! This is also one of my favorite books. And one of my favorite cookies. Loved your cookie bookie week! Can you believe I was an English major in college but have never read thatbook?!! I will need to put it on my list since I have heard so many great reviews on this classic. I know a lot people say this, but To Kill a Mockingbird is one of my most favorite books! My essays on it helped me get into honors English and I used to read it all of the time. I think gingersnaps would be a great snack with that incredible book! I love ginger cookies- so fall/holiday. Yours look so comforting! Grumpy loves soft cookies! I see the sour cream - have never seen that in a ginger cookie so I'm interested! Well, I'm interested because they look delicious too! To Kill A Mockingbird = classic. Fabulous (yet bittersweet) ending to Cookie Bookie Week!! Thanks for sharing all your cookie bookie's this week. I can't wait to try some of the cookie recipes. To Kill a Mockingbird is a classic.. I need to dig mine out and read it again. Can't wiat for that butternut squash recipe. LOOOVE butternut squash, especially this time of year. Love ginger... Prudy do you have any low fat/whole wheat cookie recipes in your blog? An American classic --- the book and the movie. Scout and Esme ( of To Esme with Love and Squalor) are my favorite portraits of childhood innocence and how wonderful life would be if we all had an Atticus in our lives. One of my all-time favorite books ever! I think it's time for a re-read, come to think of it. How wonderful it will be to munch on ginger cookies while reading it. I adored cookie bookie week and am sad to see it come to a close. Anytime you want to review books along with your recipes, it'll be great with me! Have a great weekend! I love ginger cookies and I love To Kill a Mockingbird. The cookies look absolutely fabulous...I'm craving some with some milk. As an aside, my aunt and uncle lived near Harper Lee in Monroeville AL many years ago. 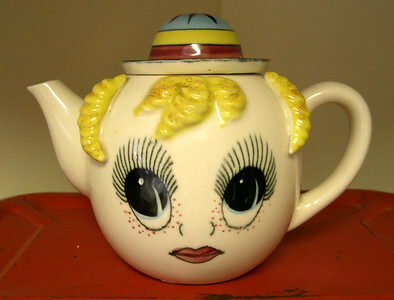 I got to meet her as a child. A true souther eccentric. Oh I'm so sad that this is the end of your book week! Thankyou for sharing all your favorites. The cookies look great, I will definitely have to give these ones a try. PS I had forgotten that the horse Boo, was short for Boo Radley! Poor Mom! I'm not the sharpest knife in the kitchen, but I just have to tell you that all of your cookies recipes this week have looked SO good. I'm going to get up the courage to give some a try. Thanks! I loved To Kill a Mockingbird. You'll never believe this, but until sophomore year of high school I wanted to be a lawyer. I wanted to be a moral, kind lawyer that helped people (like my idol, Elle Woods.) Then I realized that they wouldn't let me spend all my time arguing in a courtroom and moved on to journalims (to be a moral, upstanding journalist). I do love soft ginger cookies. And I've loved To Kill a Mockingbird forever! Excellent Friday choices. What a great way to end cookie week! They look super soft and delicious! And that is my all time favorite book. I just love it! Have a great weekend! Congrats for the nod at Serious Eats! You are so very talented. I love how you put a creative twist on these ginger cookies. Hands down this is one of my favorite books. I've read it several times through life and each time I got something different from it. While I am partial to Jane Austen, this book is just as amazing as anything she wrote. Best of both worlds! Great job, Prudy! Love the book! I really love the changes you made in this recipe, you know sour cream does wonders and a kick of pepper is most interesting. Have a grand weekend! I am excited to try all your cookies!! Hopefully not all at once of I will blow up like a balloon! ps - did you win a free handbag from handbag planet? Somebody with your name close to where you live won one. Just wondering if it was you! Your cookies look perfectly soft and tasty! Have a great weekend! Prudy, thanks for the book Review. I always love to see Gregory Peck. And I was planning on making a gingery cookie today too....Really! Oh, and I hear you have a corndog recipe? I love ginger cookies, and these chewy ones look wonderful. You got me with Cookie Bookie week, love the idea and really loved reading about all your favorite books (I love to read...) and of course the cookies! I haven't read To Kill A Mockingbird since I was in school and I've never seen the movie so I may have to rent it now! These look wonderful and what a great tie in to a classic book. I've been eating some soft ginger cookies all this week! glad to see i'm not the only one that associates this cookies with fall! I'll have to try your version next time. Yep, I read it at Secondary School! I love ginger biscuits - my mum used to give them to me when I was feeling sick!!? Ok ok I'll go read now, but I'll grab a buncho of those, ok? I think they must be wonderful with the pepper, very clever Prudy! Oh, these look so good! I might have to make them this weekend! Oh, Prudy, I loved your cookie bookie week! Thanks for all the good spooky reads! Erin, You are killing me...soft ginger cookies really might be my all time favs...but I am supposed to be on a 1000 calerie diet...how many cookies do you think that is? I'm guessing about 120 calories each. Have two and a salad and call it lunch. That is my kind of diet. What a fun cookie today - You've been baking girl! So glad to hear you loved the movie "Magic of Ordinary days". I see your addiction starting already. The year I found it and fell in love with it - I gave it to every girl friend for their birthday and as a hostess gift with a note attached "Thanks for a "Magic" night"! If you're like me your going to have to break down and buy it so the library can have their copy back! Have a great weekend! I love soft, chewy cookies. I want to reread all the books you've mentioned, unfortunately, I'm in the middle of a very long book that is taking forever! This is a great book, and I must say, the movie version is also swell. I'm excited about these cookies, especially to know about the shortening to oil+sour cream swap. Does it have to be full fat sour cream? Yes, that was an awesome book, and your cookies look picture perfect. I love how crackly they look on top. I was going to say that I read this book in High school and that is when I scrolled down and read you mentioning the same exact line ha! ha! Those cookies, all I can say is that I shall be making them tomorrow because my husband read your post as well and he wants me to make them for him!It looks to die for!! It says I am the 45th comment so who knows if you'll get a chance to read this. I loved all of the book reports because I know these stories well, and count them as favorites. I read The Legend Of Sleepy Hollow for the first time after reading your blog, and reread Rip Van Winkle. I have to say I preferred Rip to the other, but they were both fun to read. Also, Irving is believed to have created the genre of the short story in America. I did not know this. The Woman in White was so frightening to read. I read it years ago for book club, and it was horrifying to read how alone and at their husband's and uncle's mercy they were. To Kill A Mockingbird is a classic, and one I always enjoy reading over and over. It is amazing to think that Nell Harper Lee and Truman Capote were youngsters together who grew up to both be talented, tremendous writers. Their friendship and lives are as interesting as their characters. As for the cookies, they look delicious. I wish I always had a cookie jar full so I could grab one at any time, but one batch a day doesn't even make it to the next. Thanks for all the book reviews and good cookies. A book and a cookie. I could indulge all day. I love this book, and the movie is great too. What great pictures you have included. thank you for reminding me of this great story! these cookies look wonderful, too. I'm a big fan of Harper Lee too, even after umpteen reads of To Kill a Mockingbird I am still outraged anew every time I read it again. to kill a mockingbird is a truly great read, and your cookies look stellar. how sad am i that your cookie week is over? very, very sad. This was a classic, I haven't read it in, um, 25 years! I love ginger cookies with herbal tea. Mmmmm. And the shout out to Sherlock - I have the complete collection! To Kill a Mockingbird is the best! I've read it about four times- but reading your review makes me want to read it again!! Harper Lee received an honorary degree from my university when I was a freshman and I was so upset when I discovered that I'd have to miss it for a Biology lab! Also, I love, love, love ginger! I even loved gingerbread when I was little! I cannot wait to try these out! Ohh Erin, you have ended the week with both my favourite cookie and my favourite book, not to mention one of my abolute favourite movies of all time! Well done! I'm not fussy on hard ginger cookies myself. I prefer the soft ones for sure. will definitely re-read Mockingbird. I haven't read itin years but it is definitely on my all time favourite list. Thanks for such a great selection of biscuits and books....and please think about keeping on doing this. I have just loved every post. I've only been reding you a few weeks, but I'm loving your recipes. I made these ginger cookies last night for a Cub Scout bake sale today. Oh. My. They are wonderful!!! My husband and I hid a dozen to keep for ourselves, and we are quickly making our way through them as we speak. Just wanted to say thank you for sharing. To Kill a Mockingbird was the first "grown up" novel I read. I was thirteen, very shy, bookish, and my seventh grade language arts teacher, Mrs. Lenz, took me aside and recommended it. I loved it, and I really do feel that its message of the destructiveness of racism sank into my being. One of the things I'm passionate about is teaching others about the need to search out and challenge the biases in our lives. I've become a diversity trainer for my school district and can trace some of this passion back to books such as this. By the way, I love Truman Capote's short stories, especially A Christmas Memory. All of your posts this week have reminded me of how much reading has meant to me. Great food and food for thought... your blog is wonderful! To Kill a Mockingbird is on my all time favorite books and movie lists. I think I fell in love with Gregory Peck watching that film. I love the Ginger cookies too! I love Capote's A Christmas Memory. It is one of the sweetest stories ever told. The tender relationship he has with his childlike aunt is truly unforgettable. I'm so glad you enjoyed cookie bookie. I loved what you had to say about To Kill a Mockingbird. It is one powerful read! Kudos to you for using your passion for good. Martha Stewart has, in her Baking Handbook, a recipe for fruitcake I've been longing to try. Your "Cookie Bookie" week has my head spinning about all of the literary culinary connections to be made. Capote's A Christmas Memory and fruitcake, any of the Laura Ingalls Wilder books with their descriptions of pioneer dishes, Dickens, Austen or, as I watched The Way We Were for the umpteenth time, some of the cinematic culinary connections. Katie says to Hubbel her arms full of grocery bags, "You can't go yet, I've got steaks and baked potatoes and sour cream and chives and fresh baked pie. I would have made a pot roast, I make a terrific pot roast..."
What a beautiful blog you have!..the cookies look delish! 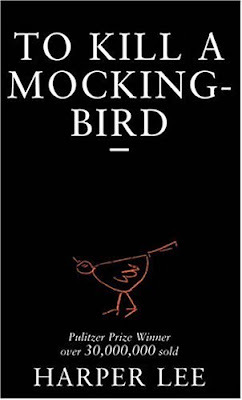 no book better than harper lee's classic! this is my favorite food site! thanks for the fab recipes. Delicious! I can't resist one of these, during the autumn and winter months especially. And you're right, I didn't escape HS without reading that book. Made your Vegetarian Southwest burgers tonite! SUPERB! I have a surprise for you on my blog! Come read Saturday's post! Your recipe makes me want to try making yogurt again (from Powdered milk) so that I can make these. I have everything else in my pantry. Thanks and welcome! I haven't made yogurt in ages so thanks for reminding me! Yes! Thanks for posting these. My hubby loves Gingersnaps--and I have been looking for a recipe that does not include shortening--yuk! I will make these tonight for FHE! A great way to end the week with your Spicy Ginger Cookies! I read this book maybe hm..half a dozen times! I have to admit that I have never made soft ginger cookies before. I am making a list of cookies to make as gifts (yeap, for somebody who doesn't bake much, this is quite a stretch!! ;) and this ginger cookies sound super! Prudy, I'm guessing you're still on your trip, but I just HAVE to tell you how fabulous these cookies are. I just pulled out the first cookie sheet-full and boy, I am in love. Black pepper + ginger are a favorite combination of mine and these really deliver. A one-bowl cookie that is inexpensive and delicious! Thanks!! Thanks for a fantastic idea! I baked up a variation to get me through finals week, and linked back to this page on my blog (hope you don't mind?). I shared the love with my classmates, and everyone commented on the delightful texture.